Who cares about being a fly on the wall? 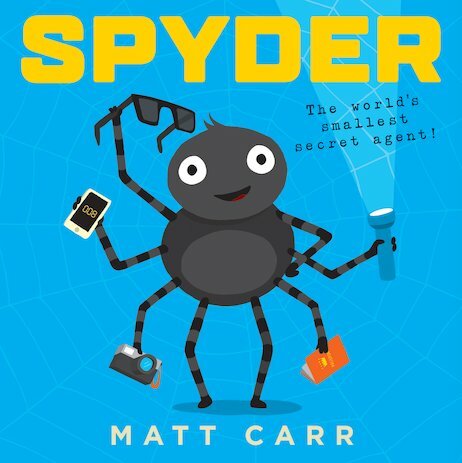 Spyder is here to prove that a spider can be the greatest spy of all! The name is Spyder, and the code name is 008 (legs). She might only be tiny, but don’t laugh! Spyder is fully kitted out with super-cool gadgets. Plus, she can climb up walls and crawl under sinks – a really handy skill when you’re a spy. Now a birthday cake is under threat. It’s time for Spyder to wriggle into action! She’s armed with binoculars, a top-secret laser pen and a yummy banana. Will Spyder save the day… and the birthday party?